I read this comment on Tripadvisor recently and, like so many bizarre perceptions spouted online, it baffled and irritated me. What the hell does it mean? How do you go about aiming an area at a certain age group? Admittedly, the tourist industry markets specific destinations to attract different demographics and even differing nationalities. 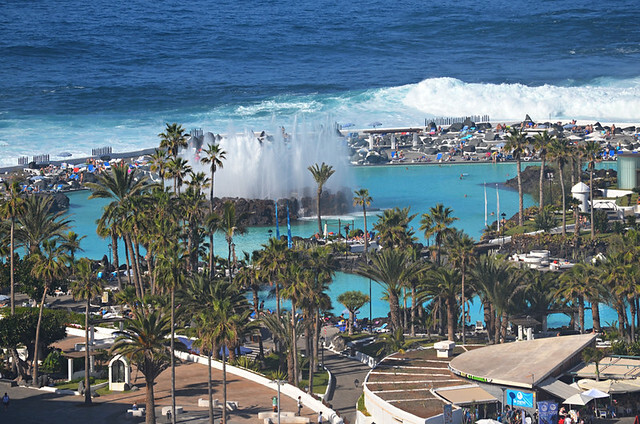 Visitor statistics for the Canary Islands show a trend of holidaymakers from different countries favouring different islands. 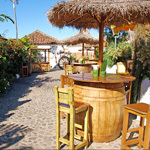 For example, Lanzarote is far more popular with the Irish than any other Canary Island. But none of that is the same as a place being ‘aimed’ at an age group. Especially not when that place is a traditional town. 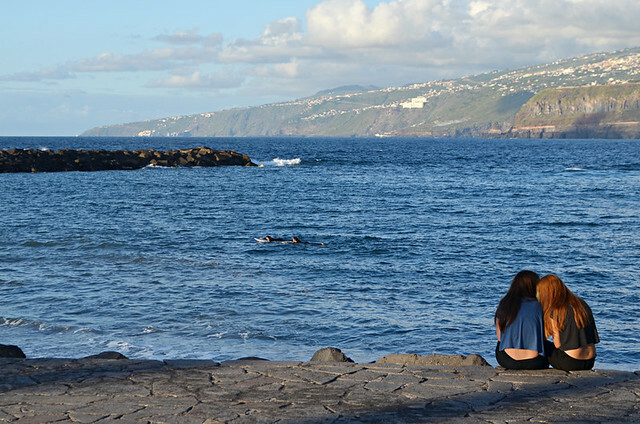 When it comes to Tenerife there are a number of off the shelf platitudes, phrases heard elsewhere, which are rolled out without the person doing the ‘rolling out’ stopping to think about what they’re saying. It’s not so long ago I read a comment from someone who’d visited Puerto de la Cruz (the place many people actually mean when they talk about the north on Tripadvisor) who complained everything shut early and they were back in their hotel by midnight. I mentioned this to a visiting friend as three of us sat on a window seat in a bar set in a colonial building in the centre of town. It was about 1am and we were having some chill out time before heading to the bar’s packed courtyard to listen to a band. We were probably the oldest people there… by a long way. Most of the people in the bar were locals. And therein lies the problem of perception amongst some visitors. The ‘north’ we, and visiting friends and family, know isn’t the same ‘north’ as the one experienced by those visitors who complain there’s nothing to do. 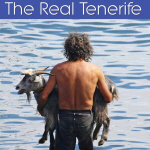 When people make comments along the lines of “the north of Tenerife is aimed at older people” they’re bizarrely ignoring the fact there is a large local population of all ages who find they have plenty to do. 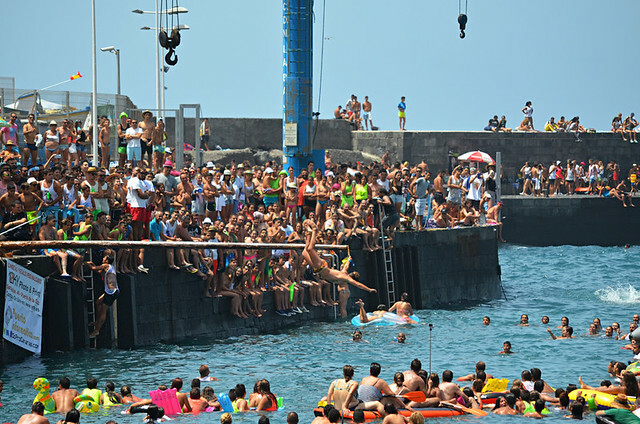 There is masses going on in both Puerto de la Cruz and the rest of the north of Tenerife. So much we never had enough time to get around all the things we wanted to see and do. I often wonder when people come out with things like this if they’ve actually made it to Plaza del Charco at the weekend when the pretty square buzzes with local families. I also wonder how they’ve actually managed to avoid what’s going on. 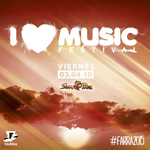 This month (July) the town has its fiestas patronales and events include traditional parades and a jazz festival. 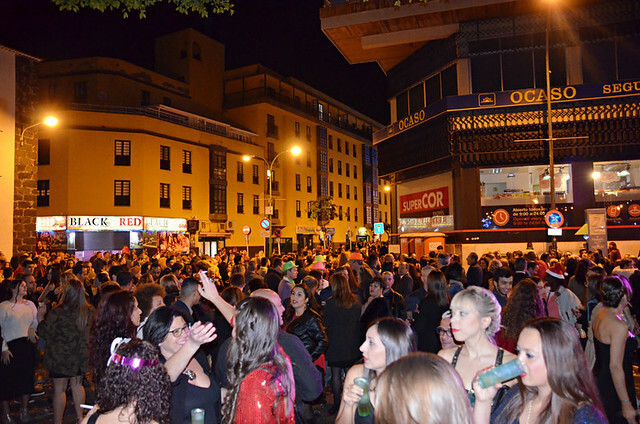 In August there’s the Phe music festival; in October it’s Noche en Blanco when the streets are filled stalls, music and fashion parades. November is the month of chestnuts and wine when it’s almost impossible to grab a seat beside the harbour to eat roasted chestnuts accompanied by country wine. December sees a whole programme of events for Christmas which spread into January. 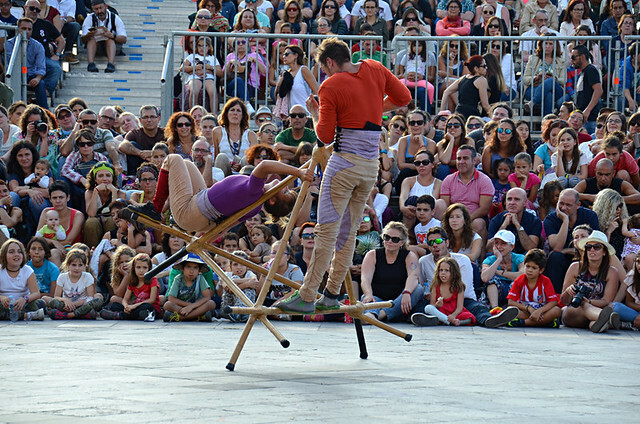 February/March has one of the biggest carnivals on the island whilst May is the time for the surreal Mueca, a wonderful art in the street festival. In June it’s difficult to see a grain of sand on Playa Jardín on Midsummer’s Eve as it’s the scene of a huge beach party. All of these are ‘aimed at’ the local population, with everyone else welcome. But usually the person making a comment along the lines of “the north of Tenerife is aimed at older people” completely ignores the local population and how they spend leisure time. The comment is really about what there is to do for them which includes people like them. It’s a comment about there being a lack of ‘familiar’ things to do. 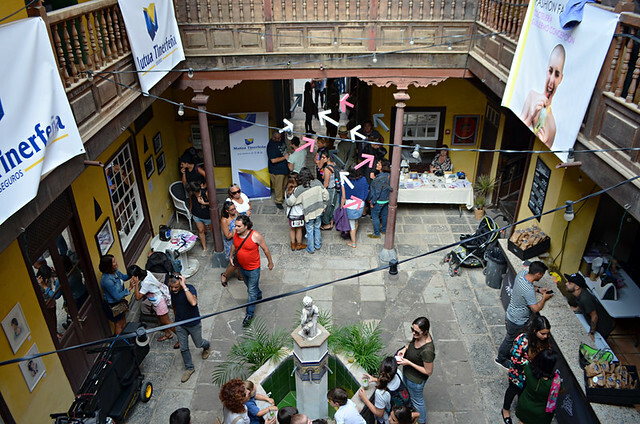 The couple of bars in Puerto aimed at British visitors tend to attract… well, mainly British visitors. In winter months most of these are in the autumn of their lives. We watch football in one, and it has the most mature clientele of any of the bars we frequent. That’s neither criticism nor judgement, just a fact. Anyone who spends their evenings in these bars is going to have a severely limited experience of what actually goes on in the town. Basically, they’ll have an experience which doesn’t accurately reflect Puerto de la Cruz. 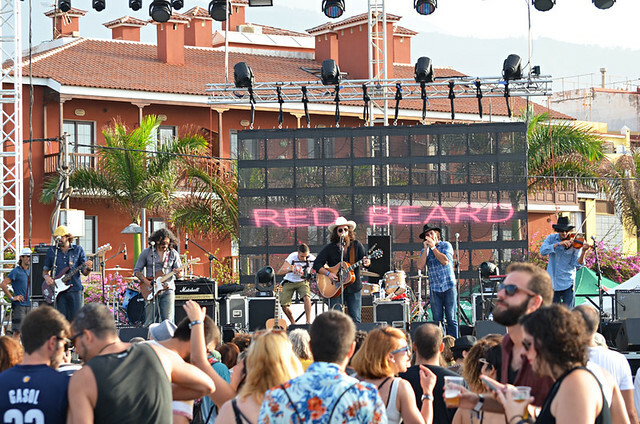 Puerto de la Cruz moves to the rhythm of the people who live there. It’s a rhythm we all get to enjoy, but only when we make the effort. 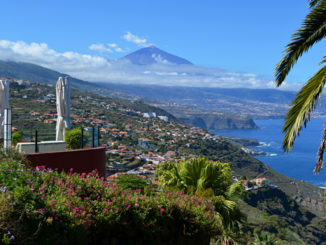 If there’s anyone out there harrumphing at the idea there is as much a younger scene in the north as there is an older one, or that the south of Tenerife is for the young and the north for the more mature, there’s a simple way to check something which illustrates my point. Facebook has plenty of posts from bars in traditional towns and southern resorts. These feature lots of images. Go seek some out and compare the clientele. You might find some results surprising. Here’s one to start, Limbo in Puerto de la Cruz. As Mulder and Scully used to say – the truth is out there.